Please read these terms and conditions carefully before using the services offered by the company Nigule SARL . 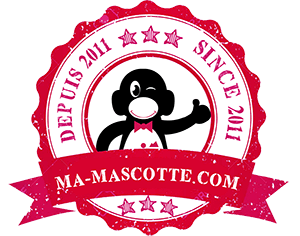 These general conditions define the conditions and the legal obligations related to the subscription of the services proposed and provided by the company nigule sarl , from the website ” www.ma-mascotte.com “. Any use and / or use of the services offered by the company implies the unconditional acceptance of these terms and conditions. the sole fact of using these services entails the outright acceptance of these terms and conditions, which the customerexpressly declares and acknowledges. The use of the service is exclusively reserved for people able to take out contracts under French law. The website accessible at www.ma-mascotte.com (hereinafter the ” Website ” or the ” Site “) Is published by the company nigule, limited so ciety, with capital of 6,500 euros, registered with the RCS Chartres under number 530 962 745 00036, whose registered office is located 3 Clos Gourdez, 28630 Morancez, including the VAT number is FR31530962745 (Ci -after designated “the Company “). Wevox, Jahon, 43300 Langeac. Such : 0899 492 350. The Customer hereby orders and buys from the Company the Products whose characteristics are determined in the Quote validated by him in the conditions detailed herein. It is specified as necessary, that the Customer can save or print these Terms , provided however that they do not modify them. The version of the GTCS available on the Website shall prevail, as the case may be, on any other version of these presents, with the exception of the modifications which would have occurred after its use of the Services and this, in accordance with the common law. These Terms been updated on 14/03/201 8. Subsequent changes to these Terms and Conditions will be binding on the Customer as soon as they are posted online. BAT : refers to the certificate issued by the Company to the Client for signature, once the Quotation has been validated by the Client. The signature of the BAT allows the Customer to validate the visual of the Order . Customer : means any natural or legal person who buys a product offered for sale by the Company. Order : refers to any order of Products by a Customer, made under the conditions of Article 6 . Quotation : designates the quotation stating all the Products subject of the Order made by the Customer, as well as the price of the Order, whose signature implies acceptance of these Terms. Fupplier: means any natural or legal person who provides to the Company the Products it offers for sale. Products : Refers to the mascots, plush toys and goodies and other products are offered for sale by the Company. Price : refers to the total amount of the Order made by the Customer , indicated on the Quote validated by the Customer . The price of each Product is indicated in euros and does not include delivery charges for the Product. Services : S denotes the services provided by the Company which are to propose the sale of the product s and advise and assist the Client in determining the characteristics of the products, under the conditions of Article 6. Society : means the company nigule, a limited liability company, with a capital of 6,500 euros, registered with the RCS de Chartres under the number 530 962 745 00036, whose head office is located at 3, Clos Gourdez, 28630 Morancez, whose VAT number is FR31530962745 ,which provides the Services and publishes the Website. The Customer hereby declares that he has previously verified the adequacy of the Services to his needs. He declares and warrants that he has received from the Company all the information and advice that he needs to subscribe to these General Terms and Conditions of Sale and that he therefore waives any dispute on this point. It is therefore the responsibility of the Customer to verify that the Services offered by the Company are adapted to its needs. The Customer further declares that he has the knowledge, skills and resources, including human and technical, required for the use of such Services. These GTC are applicable upon the signature of the Quotation by the Customer under the conditions of Article 6 . The Customer is informed that the Terms will be subject to any time an update in terms of Article 18 hereof. The Customer is then contacted again by the Company in order to proceed to the determination of the Products subject of the Order. This information will enable the Company to hold as much information as possible on the Product to be produced and to offer the Client a detailed Quotation. An e Once the Customer has informed the Company of the characteristics of the products object of the Order, the Company address to the Customer by email a detailed quote. The fai Quote t also explicitly refer to these Conditions of Sale. and affix his signature under this mention. This step is decisive and the Client can not check this box or sign the Quotation without having first read and accepted all clauses of these Terms . Once this box is ticked and the Quotation signed, the Customer declares to accept fully and without reserve the entirety of the present General Conditions of Sale. Once the Quotation has been validated by the Client, the Company sends him a TAO. The BAT allows the Customer to be aware of the general appearance and in particular the visual aspect of the Ordered Products, before validation for manufacturing. If the BAT accepts the approval of the Customer, he must return to the Company, by email the BAT duly dated and signed by him. The signature of the BAT by the Customer implies acceptance of the terms of the Order. Therefore, the Customer must imperatively ensure the concordance of his graphic simulation before validation of the BAT : after signature no change will be possible. The launch in manufacture will be able to be done only at reception by the Company of this BAT dated and signed. Le Bon à Tir aims to validate the general appearance of the product to be produced ; The launch in manufacturing will only be done upon receipt by the Société du BAT dated and signed. The Company can not guarantee the perfect conformity of the colors of the Product as represented in the BAT to that of the delivered Product. These colors appearing on the BAT are indicative and not contractual. The nearest shades will be used during production. The signature of the BAT implies acceptance of the General Terms and Conditions of Sale (GTC) in their entirety. The Customer must ensure the concordance of his graphic simulation before validation of the BAT : after signature, no change will be possible and the Company can not be held responsible for any discrepancy. Due to unavoidable technical production constraints, the Company can not guarantee a 100% identical realization between the content of the graphic simulation and the final product. Once the customer has validated the BAT, it must make payment of the price of the order of years the terms of Article 7 below. The prices of the Products are those indicated in the Quote validated by the Customer. The Customer is informed that it be added to p rice Product delivery charges of the Order, also said s in the Quote. The prices are subject to the French VAT and any change in the legal rate of this vat will be reflected in the price of the Products, on the date stipulated by the relevant implementing decree. If typographical price, the C trol will be charged for selling conditions corrected. Company Rates apply to all C lients, on the same date. Prices are fixed by the tariff in force at the date of the completion of the C trol. They always agree on the unit amount excluding taxes and payable in euros. The Company reserves the right to change prices at any time. Product prices are calculated net without discount. C ontrols carried by customers are subject to the accounting department of the Company. Unless otherwise agreed, invoices issued by the Company are payable before the shipment of the goods. Depending on the nature of the Order, a full payment in advance or a deposit of 30% to 50% may be asked to the customer before the beginning of execution of the c trol. For any invoice remained partially or completely unpaid at its due date, the unpaid amount will be increased by right, without prior notice of late penalties at a rate equal to 3 times the legal interest rate in force in addition to a fixed compensation of 40 € in compensation for the recovery costs. The sums will be increased by 15% by way of damages and interest. Late payment interest shall be due from the day following the settlement date shown on the invoice, in the event that the sums due are paid after that date. Late payment penalties are due following a first written reminder. It is specified that in the case of an Order made outside France, the bank transfer is the only means of payment authorized. If the Customer chooses the method of payment by check , it must be issued by a bank domiciled in Metropolitan France and made payable to “Ma-Mascotte”, when the amount of his order does not exceed 2000 euros . It should be addressed to Ma Mascotte, Orders Department, 19 Bis Rue du Rempart, 37000 Tours – France . The Company reserves the right to verify the personal data communicated by the Customer and to adopt all the measures deemed necessary for the verification of the fact that the person whose bank account is debited is indeed the one who placed the Order, in order to avoid all fraudulent payments. This verification may take the form of a request for proof of identity and / or domicile and / or bank documents (RIB or canceled check). To participate in efforts against fraudulent orders in the case of an order paid by credit card or check, the Company reserves the right to request pre-shipment trol C, proof of identity and proof of domiciliation at the delivery address. If the Customer refuses to provide these supporting documents, the order may be canceled by the Company without notice, which the Customer declares to accept. 7.5.1. The Customer guarantees that the Company has the necessary authorizations to use the chosen method of payment and that it gives access to sufficient funds to cover all the costs resulting from the payment of the Order. In case of refusal of payment, the transaction will be automatically canceled and the Customer will be informed of this cancellation by sending an email. The computerized records, stored in the Company’s computer systems, under reasonable security conditions, will be considered as evidence of all transactions and payments between the Parties. 7.5.2. The Customer is informed that he has a maximum period of 30 days from the date of validation of his Order to send his payment to the Company . In the event of failure to pay beyond a period of 30 days from the date of the Order, the Company reserves the right to destroy or market the Products subject to the Order to another customer. Installments paid may be retained to cover potential losses on resale or as compensation for costs incurred. 7.5.3. The Order will only be processed upon receipt of the payment or its collection. When payment is made by check, the manufacturing and delivery deadlines must therefore be calculated from the date of the cashing of the check. 7.5.4. Regulations by “credited” issued by the Company’s services, use of the entire range of P roducts are indeterminate. The Client is informed that the Company retains the ownership of the Product until the receipt by the Customer of full payment of the price, in principal and accessories, even in the event of granting of payment terms . Any contrary clause, notably inserted in the general conditions of purchase, is deemed unwritten. Installments paid may be retained to cover any losses on the resale or compensation for costs incurred in the event of processing of the products sold by the Company making the exercise of the rights of the Company materially impossible. In the event of payment default and no news from the customer within 30 days, the Company reserves the right to destroy or market the goods to another customer as compensation. Upon receipt of the Order by the Customer, the ownership and inherent risks of the delivered Products are transferred to the Customer. The Customer is informed that the Company will proceed to the delivery of the Order only after payment by the Customer, except in the case of deferred payment agreed in exceptional circumstances with the commercial department of the Company. – the availability of carriers who deliver the Products. – Delays related to customs formalities. – In general, any case of major force defined in Article 17 of these GTCS . Each delivery is deemed made upon the provision by the carrier to the Customer of the ordered Products, made available materialized by the control system used by the carrier. It is the Customer’s responsibility to check the shipments on arrival and make any reservations and claims that appear justified . For example, if the package is damaged, torn, open , etc., the Customer must refuse the package and contact the services of the Company to inform them. If the provider responsible for the delivery of the package is the Post Office, the Customer must request a declaration of spoliation at the time of refusal . Any delivery that has not been subject to reservations by registered letter with acknowledgment of receipt within 3 days of receipt from the carrier, and copy of which will be sent simultaneously to the Company, will be considered as accepted by the Customer. For any realization, the quantities can vary of +/- 10% deliverable and billable accordingly. To the extent that the Products subject of the Order are goods made at the request of the Customer and made to measure , no right of withdrawal is granted to the Customer subsequent to the validation of the Order. Therefore, by accepting these Terms and Conditions, the Customer expressly acknowledges having been informed of this lack of right of withdrawal, and accept it expressly, firmly and definitively. Unless proved otherwise, the data recorded by the Company during the Order constitutes the proof of all transactions made by the Company and the Clients. All communications, orders and payments made between the customer and the Company can be proven through computerized records, stored in the Company’s computer systems under reasonable security conditions. Purchase orders and invoices will be archived on a reliable and durable support considered, in particular, as a means of proof. The Company guarantees that the Products comply with French law, that they conform to the intended use, as defined and under the conditions of Articles L. 217-4 to L. 217-12 of the Code de la Consumption reproduced in Annex 1 . The Company warrants that the Products do not have defects or hidden defects rendering them unsafe or unsuitable for their normal use, as defined and in the conditions of Articles 1641 to 1648 of the Civil Code reproduced in Appendix 1 . The Company undertakes to comply with all legal provisions relating to the law of sale and in particular the provisions of the Consumer Code and the Civil Code, the main applicable articles of which are reproduced in Appendix 1 . In case of non-conformity of the Product , the Customer will be able to return the Product to the Company for repair, replacement or refund of this Product. Any return of goods requires obtaining a return number issued by the Company to the Customer, which must be very legibly written on the package containing the returned Product. The Customer is informed and agrees that the return of the Products is at the expense and risk of the Customer. Products returned by carrier without physical protection or poorly protected will not benefit from this warranty. It is therefore the responsibility of the Customer to protect and insure the Products returned during their transport. It is also the responsibility of the Customer to keep the packaging and accessories supplied with the Product as well as any labels affixed to the Product or its packaging, which are necessary for the identification of the Product, its date and conditions of purchase. The Company will refund, repair or replace the Product as soon as possible. However, when the repair or replacement of the Product requires the return of the Product to the Supplier, the Company shall in no way be held liable for any delays in the delivery of the repaired or replaced Product. All claims, exchange requests, duly justified in the event of implementation of the two aforementioned guarantees, must be made by e-mail or by post. No return of goods can be made by the customer without the express written agreement of the Company obtained by fax or email. No customer is allowed to physically bring merchandise back ; the return must be made by a national carrier . It is specified that the claim made by the purchaser under the terms and conditions described in this article does not suspend the payment by the customer of the merchants i concerned. Defects and deteriorations caused by improper handling, by an external accident (incorrect assembly, faulty maintenance, bad storage, improper transportation) or by a modification or use of the abnormal product, not provided for or specified by the Company , do not may incur the liability ofthe Company or its guarantee. The responsibility of the Company can not in any case be blamed for facts during transport, destruction, damage, loss or theft, even if it has chosen the carrier. Under the guarantee, the only obligation incumbent upon the Company will be the free replacement of the recognized defective goods by the services of the Company . Defects and damage caused by natural wear, vandalism, accident, natural or terrorist disaster, by a modification of the product not foreseen or specified by the Company are excluded from the warranty. Are also excluded from the warranty, all products not adapted or not in accordance with the intended use for the type of articles that the Company sells. The necessities of e series production are such that production losses are inevitable between the visual of the BAT and the final appearance of the product delivered. The handmade character of the products marketed authorizes and justifies a technical deviation of design and manufacture. So, the Company will not be held responsible for technical and / or commercial deviations in terms of design and manufacturing compared to the realization : a graphic creation / BAT (Good to Shoot) and / or a sample (still called mock-up or prototype) and / or a series production. The data from the graphic / BAT / prototype / samples are for information only and are not contractual in nature. The Customer declares that he has been informed that the Company does not manufacture the Products sold. The Company is acting in the context of these Terms and Conditions in only quality of seller of the Products. Therefore, in application of the law n ° 98-389 of May 19th, 1998 relating to the responsibility for the defective products, none of the damages which could possibly be caused to a Customer or one of his goods because of the Product will not be able engage the responsibility of the Company.Only e f anufacturer the responsibility of the Product may, in such circumstances, be held by the Client. On the other hand, since the Company has no control or control over the stock of its Suppliers, it can not in any way be held liable in the event of the unavailability of a Product as a result of a stock-out. However, the Company undertakes, in the event that it is unable to provide the Customer with the ordered Product, to inform the Customer without delay and to offer it either to deliver a Product of Nature and with equivalent functionalities. or to provide a have an identical value of P rice unavailable Product paid by Customer. The risks are transferred to the Customer’s responsibility from the moment of taking physical possession of the Products. The Customer is informed that the Company uses a carrier for the routing of the Products, which is in charge of the risk related to the transport. However, the regulations in force require that the Company be the sole interlocutor of the Customer. That is why, in the event of non-compliance, loss or damage of the Product (s) due to transport, the Customer undertakes to contact as soon as possible the Company so that the latter can do quickly the necessary with the carrier . The Customer must therefore, upon receipt of the Products, check their status and compliance with the contract. Without prejudice to the provisions to be taken vis-à-vis the carrier, in case of apparent defects or missing products, any claim, whatever its nature, relating to the delivered products, will be accepted by the Company only if it is made in writing within 3 days following the delivery of the products. It is up to the customer to provide all the justifications as to the reality of the defects or missing ones. In this case, the customer may request the replacement of non-compliant items and / or the supplement to fill in the missing items without the customer being able to claim any compensation or cancellation of the order. Attention Customer declares to have been informed that the products sold and manufactured by the Company can be compressed during transport, depending on the carrier, to facilitate the tr has nsport and delivery of goods; under no circumstances will the Company be held responsible for the consequences of this compression on the products marketed. 14.1.1 Customer represents that the photographs and in general all the visual elements that it addresses to the Company at the time of the Order, and on the basis of which the Products will be manufactured, are free of right and / or does not violate the intellectual property rights of third. On the other hand, does ny C trol carrying or including the reproduction of a logo or other material protected by copyright or industrial property implies that the Customer is authorized to request reproduction . The Company reserves the right to ask the Customer for any proof of this reproduction authorization. In the event of non-compliance with the present article 14.1 by the Customer, the Company will not be able in any case to see its civil or penal responsibility engaged. The Customer expressly and irrevocably undertakes to guarantee the Company against any disturbance, claim or eviction whatsoever that could be formed by a third party for any reason whatsoever, on the occasion of the manufacture of the Product and relating to the visual and graphic aspect. of the product. 14.1.2 In the event that the Customer is the creator of the Visual of the Product, the Customer expressly cedes to the Company the right of reproduction of said visual for the purposes of the realization of the Product. 14.1.3 T he Company reserves the right to include in its catalog on its S ite I nternet or sales brochures provided by the s visual Cl ient at the Command and the products ordered. The Customer declares to have been informed and to expressly authorize it. 14.2.1. The Company is the exclusive owner of intellectual property rights on the Website and in particular all texts, comments, works, illustrations, videos and images, whether visual or audio, reproduced on the Website and its contents. databases of which she is the producer. All these intellectual creations are protected under copyright, trademark, patent law, sui generis database law and image rights for the entire world. These creations are the full and entire property of the Company. 14.2.2. However, the Company grants users a license to reproduce and display the contents of the Website, but only and strictly for their personal use in the context of viewing the Website and the use of the Services. This license, however, excludes the right of u SERS modify, copy, translate, distribute, publish, transmit, distribute, produce, display, or assign the rights of any content appearing on the Website and through it. As such and in accordance with the provisions of the Code of Intellectual Property, only the use for private use subject to different or even more restrictive provisions of this code, is allowed. Any other use is constitutive of counterfeit and sanctioned under the Intellectual Property without prior authorization of the Company. As a reminder, the fact of affixing a hypertext link to the Website, using the technique known as ” framing ” or deep-linking is strictly forbidden. Any form of total or partial copy, aspiration and reproduction of the database produced and operated by the Company on the Website is strictly prohibited without its prior written consent. 14.2.3. The Website may contain hypertext links and / or hyperlinks to sites published and hosted from third-party servers, and particularly concerning advertising banners, whose governance is not provided by the Company and over which no control can be exercised. As such, the Company disclaims any liability for the legal consequences of accessing these sites from the Website. The use of hypertext links and / or hyperlinks pointing to the Website is authorized by the Company in the strict context of the promotion of the Website and the Services of the Company but on the condition that the integrity of the Website is preserved and no risk of confusion between the Website and sites published by third parties is found. In this perspective, the Company strictly prohibits any u ser to use techniques called “framing”, “inline linking” and “deep-linking” on unauthorized slavish reproduction content of the Website and its integration on web pages edited by third parties. 14.2.4. Similarly, the Company can not be technically able to prevent any website from containing hypertext links and / or hyperlinks, referring to the website that it publishes. As such, the Company disclaims all liability for the legal consequences of accessing its Website via other websites over which it has no control or effect. In accordance with the law n ° 78-17 of January 6, 1978 relating to data processing, the files and the freedoms, the collection and the treatment of the nominative information collected by the Company was the object of a declaration with the Commission National Computer Science and Freedoms under the number 1931758. The connection or data relating to the navigation of the Client on the Site are collected automatically, and relate only to the origin of connections, IP address, browser type and pages available on the website Internet . Under no circumstances does the Company collect the email address without notice from its owner. To exercise this right, the Customer may, at his option, send an e-mail to the Company’s customer service department at the email address contact @ ma- mascotte.com or send a letter to the Personal Data Service at 19 Bis Rue du Rempart, 37000 Tours – France. In accordance with the regulations in force, all applications must be signed and accompanied by a photocopy of an identity card bearing the signature of the applicant and specify the address to which the reply must be sent. A response will then be sent to the Customer within two (2) months of receipt of the request. The collection of personal data collected for the purposes of order management by the Customer is mandatory. In their absence, the Services will not be properly provided. These data may be transmitted to the technical service providers of the Company, for the sole purpose of the proper execution of the Services, or the establishment of statistics. The Company is obliged to collect certain personal information from u Client to be able to charge it the p rices of products and f spokes delivery. The Customer has the right to access, modify, rectify and delete personal information collected by the Company concerning him. 15.4.1 During the consultation of the Site, information relating to the Customer’s browsing on the Site, may be recorded in files ” cookies ” installed on the computer or mobile terminal of the Customer , including for the purpose of retargeting marketing, subject to the choices he will have made when the cookie banner appears on the Site and may be modified at any time. This message is accompanied by a cross-shaped button to hide the message and a link ” Learn more and manage settings ” referring to an internal page of the Site. Cookies are alphanumeric identifiers which are transferred to the Customer’s hard disk via the Internet browser, in order to allow the system to recognize the Client’s browser and to offer the appropriate services. Cookies are used by the Company to memorize the Customer’s preferences , optimize and improve the use of the Site by the Customer by providing content that is more specifically tailored to his needs. – Know the products sought and purchased on the Site by the Customer in order to propose appropriate suggestions. No personal data is collected as part of this activity, only statistical data are collected and analyzed s for improving the Website. Some cookies are installed until the closure of the Client’s browser , others are kept for longer. Cookies are kept for a maximum of 12 ( twelve ) months. The Help section (or equivalent section) of the toolbar of most browsers indicates how to refuse new “cookies” or get a message that signaling reception, or how to disable all “cookies”. The cookies that the Company issues are used for the purposes described below, subject to the Customer’s choices , which result from the parameters of his browser software used during his visit to the Site and his agreement by clicking on the ” ok ” button. Of the banner regarding cookies. The Customer may make the choice at any time to express and modify his wishes regarding cookies, by the means described below. The Customer may configure his browser software so that cookies are stored in his terminal or, conversely, they are rejected, either systematically or according to their issuer. The Customer can also configure his browser so that the acceptance or rejection of cookies are offered to him punctually, before a cookie is likely to be registered in his terminal. The Company does not currently collect or process personal information known as ” behavior ” of the Customer , as defined by Ordinance No. 2011-1012 of 24 August 2011 on electronic communications. Any implementation of cookie of behavior on the Site by the Company will be the object of a prior express authorization of the Customer . Unless otherwise specified in these T & Cs , the correspondence exchanged between the parties is provided by e-mail. Pursuant to Articles 1365 et seq. Of the Civil Code and, where applicable, Article L.110-3 of the French Commercial Code, the parties declare that the information delivered by e-mail is valid between the parties as long as no written document adversely authenticated and signed, calling into question this computerized information, is produced. Items such as the time of receipt or issue, as well as the quality of the data received will prevail by priority as shown on the Company’s information systems or as authenticated by the computerized procedures of the Company. the Company, unless the Client and / or the Company provide proof in writing and to the contrary . 17.1. Any event outside the control of the Company and against which it could not reasonably protect itself constitutes a case of force majeure and suspends in this respect the obligations of the parties, as for example without this list being restrictive : a social movement or a technical breakdown ( edf, erdf , telecommunications operators, Internet access or hosting providers, registrars, etc. ), a power supply shutdown (such as electricity), a network failure of electronic communication on which the Company depends and / or networks that would replace it. 17.2. The Company can not be held responsible, or considered as having failed in its obligations provided for in these GSC , for any non-performance related to a case of force majeure as defined by the law and French jurisprudence, provided that it notifies the other party on the one hand, and that it does its best to minimize the damage and to fulfill its obligations as soon as possible after cessation of the case of force majeure on the other hand. These T & Cs may be modified at any time on the initiative of the Company. Any modification of these Terms and the documents referred to therein will be applicable after this modification. The provisions of these Terms and Conditions express the entire agreement between the Customer and the Company. They prevail over any proposal, exchange of letters before and after the conclusion of the present, as well as on any other provision appearing in the documents exchanged between the parts and relating to the object of the GSC , except amendment duly signed by the representatives of the two parts. If one or more provisions of these GTC are held to be invalid or declared as such pursuant to a law, regulation or following a decision that has become final from a competent jurisdiction, the other provisions of these T & Cs will keep all their strength and reach. If applicable, the Company undertakes to immediately delete and replace the clause with a legally valid clause. In case of difficulty of interpretation between the title of any article and any of the clauses, the titles will be deemed unwritten. Any difficulty arose from the interpretation and / or implementation of these will be submitted , failing amicable resolution to the discretion of courts French are competent e s ; the only applicable laws being French laws. These Terms and Conditions of Sale have been approved by Me Sacha NAPARSTEK, Lawyer at the Paris Bar. “ The defects of conformity which appear within twenty-four months from the delivery of the good are presumed to exist at the time of the delivery, unless proven otherwise. “ In case of lack of conformity, the buyer chooses between repair and replacement of the goods. “ If the repair and replacement of the property are impossible, the buyer can return the property and get the price back or keep the property and get a part of the price. 2 ° Or if this solution can not be without major inconvenience for this one taking into account the nature of the good and the use that it seeks.